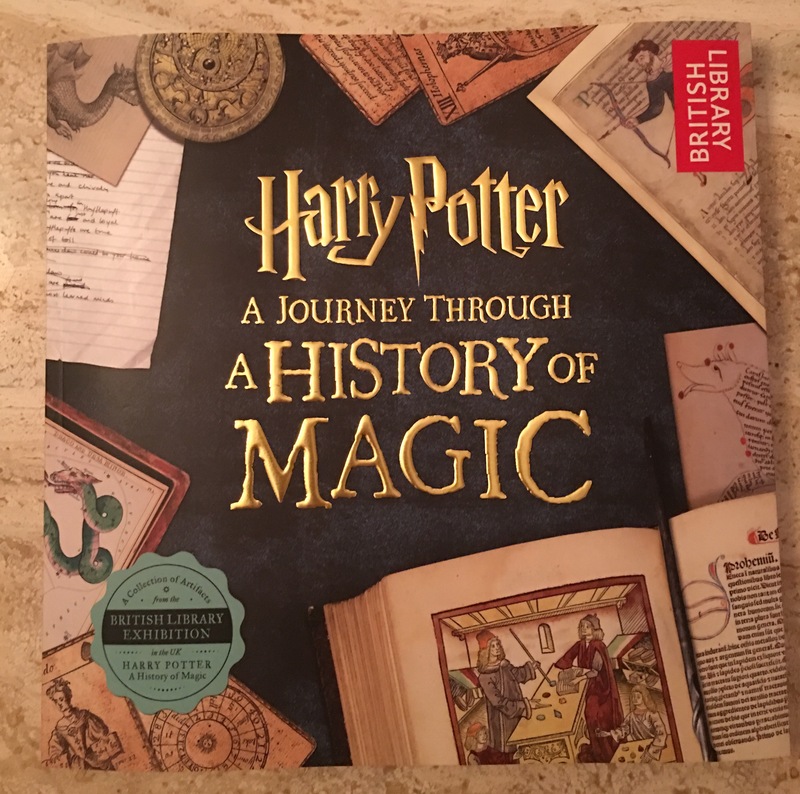 The thing I love most about the newly-released Harry Potter: A Journey Through a History of Magic isn’t the astonishing wealth of research, the fascinating museum artifacts, or the breathtaking artistry of Jim Kay. It’s not the topic of magic, explored through the ages. It’s the writing process documented throughout the book. From handwritten drafts in composition notebooks to typed manuscripts marked with ongoing revisions, this photographic journey of J.K. Rowling’s creation of the series is a treasure trove for writers and teachers of writing. The message is clear: Making the magic is a lot of hard work. Rowling’s draft of Harry Potter and the Deathly Hallows in Harry Potter: A Journey Through a History of Magic. When I’m planning I often have multiple ideas popping up at the same time, so I’m attempting to catch the best ones as they fly by and preserve them on paper. My notebooks are full of arrows and triple asterisks instructing me to move forward four pages, past the ideas I jotted down 20 minutes ago, to continue the thread of the story (113). When she was a child growing up on a farm in rural Virginia, she would be out working in the fields when she would sometimes hear a poem coming toward her—hear it rushing across the landscape at her, like a galloping horse. . . she would “run like hell” toward the house, hoping to get to a piece of paper and a pencil fast enough to catch it. That way, when the poem reached her and passed through her, she would be able to grab it and take dictation, letting the words pour forth onto the page. Sometimes, however, she was too slow, and she couldn’t get to the pencil and paper in time. At those instances, she could feel the poem rushing right through her body and out the other side. It would be in her for a moment, seeking a response, and then it would be gone before she could grasp it . . . But sometimes, she would nearly miss the poem, but not quite. She would just barely catch it, she explained, “by the tail.” Like grabbing a tiger. Then she would almost physically pull the poem back into her with one hand, even as she was taking dictation with the other. In these instances, the poem would appear on the page from the last word to the first—backward, but otherwise intact (65). It’s one of the reasons why I say writing is the closest thing to magic that there is. Note that Rowling and Stone were both working as the ideas flew. Physical activity stimulates thought, gets the creative juices flowing, sets the welcome mat out for the ideas, opens oneself as the conduit. The ideas don’t come if you merely sit and wait for them. Get busy. Start writing or walking (the preferred activity of E.B. White and C.S. Lewis). Just do. And have those notebooks nearby—be ready to capture the ideas as soon as they start flying. The real alchemy begins as soon as the ideas are on the page. There’s an art and a science to transforming raw, base material into something of value, in purifying and perfecting the work. We know these as revision and editing. Rowling’s drafts are priceless examples of the writing process to share with would-be writers. Even Ron, Hermione, and Harry would attest to the fact that making magic does not come easy—it’s the result of continuous practice, of constantly honing the craft. My colleagues looked at me knowingly. Of course I went straight for the counter, never suspecting that a powerful tool was about to land in my hands. Just another illustration of being immersed in work when the magic comes seeking. I never saw this book or knew it existed. Off to check into it. Now I also need to rake some leaves and then look up Ruth Stone. So appreciate your comments and I had to read more on Ruth Stone myself. I hope your student continues to write fantasy, arriving at the discovery that believability is what makes it work – which is darned hard work. You will enjoy the book; I feel certain. I hope you corralled all of your leaves.